Our Southern Mediterranean neighbor Morocco is comprised of a unique blend of Arab, African, and European influences. 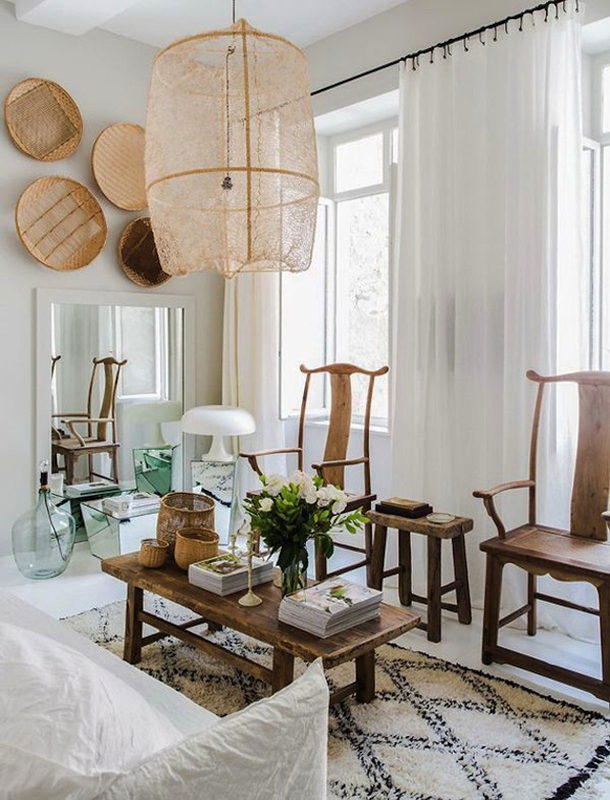 The coastal country is known for its breathtaking dunes, exotic animals, and most recently in the eyes of interior design world, their one-of-a-kind woven rugs. 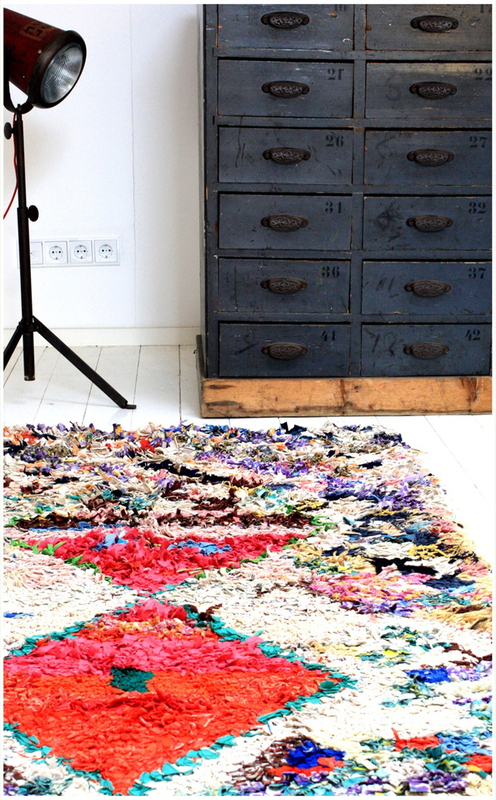 Born out of an expressive, creative culture, the Moroccan rug captures the essence of color, texture and abstract art. 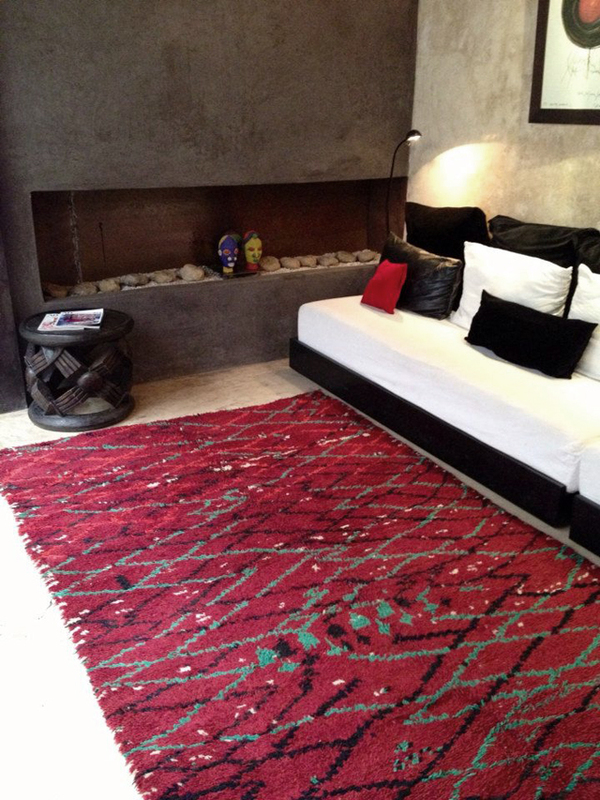 Rural productions of rugs from Morocco are notable for their abstract, primitively modern designs. 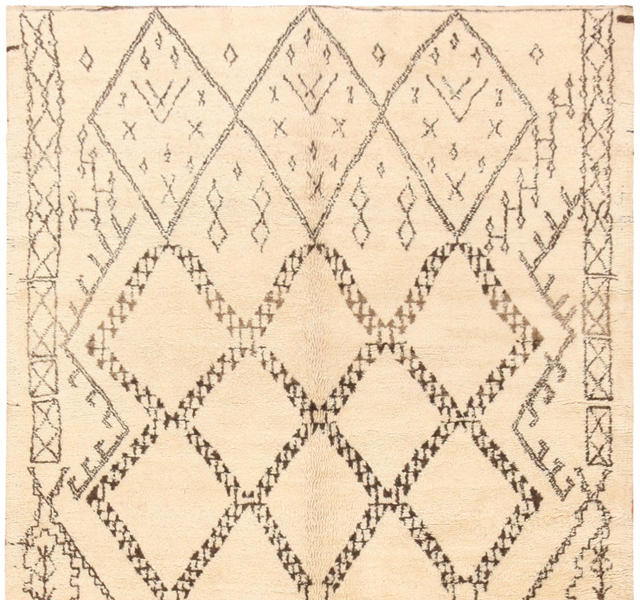 Generations of Berber weavers have created these ceremonial and functional rugs using a double knot technique and 100% wool. Utilizing geometric motifs and bold, natural colors such as saffron, henna, indigo and madder root amongst others, each design was created as a means of personal expression and communication. The patterns are traditional and ancient, and vary depending on the region and tribe that crafted them. Since they are vernacular, their use and thickness also varies. Heavy pile is useful for the snow capped Atlas Mountains, or they can be lightweight to suit the hot climate of the Sahara desert. 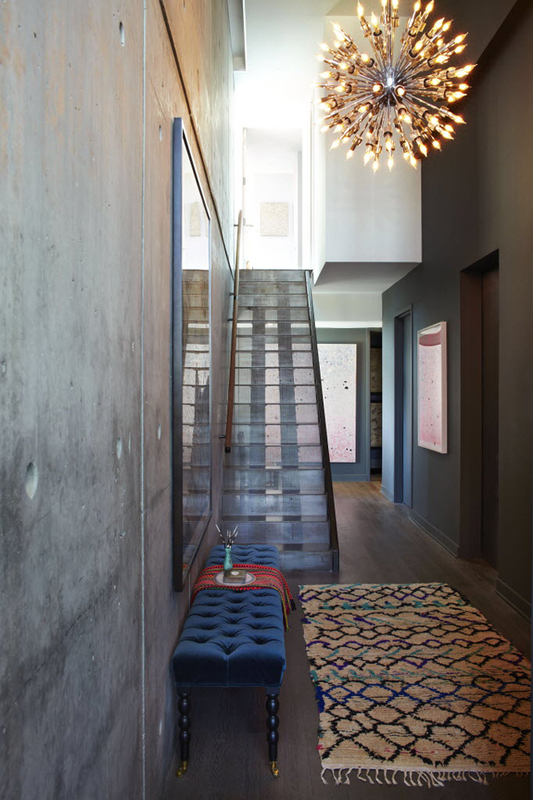 Moroccan rugs’ lively textures and one-off patterns complimented the sleek designs of the Bauhaus and Mid-Century Modern designers, giving rise to their popularity in the West. 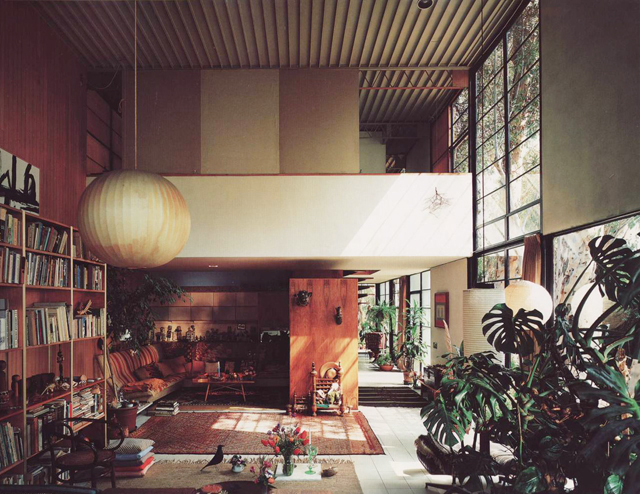 Original Moroccan designs are featured prominently in the iconic designs of LeCorbusier as well as in those of the Frank Lloyd Wright and the Eames duo. 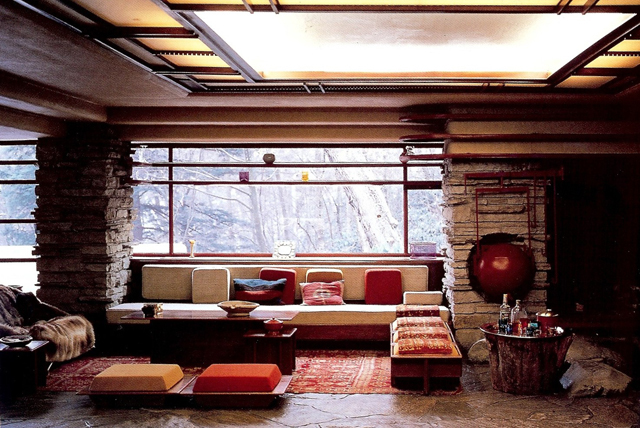 The synthesis of rural, ancient rug designs beneath Le Corbusier’s contemporary chrome and leather furniture made for a surprisingly pleasing and well-matched combination. 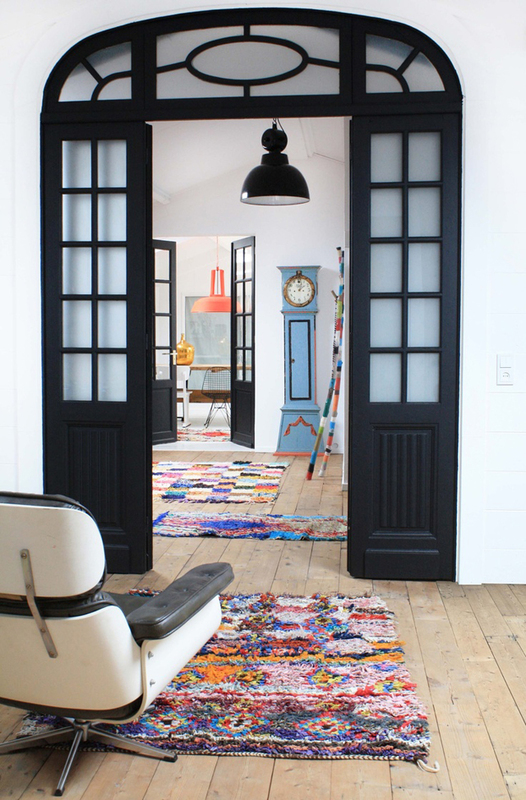 The Beni Ourain tribe live in the Atlas Mountains of Morocco, and produce the black and white rugs popularized LeCorbusier during the mid 20th Century. 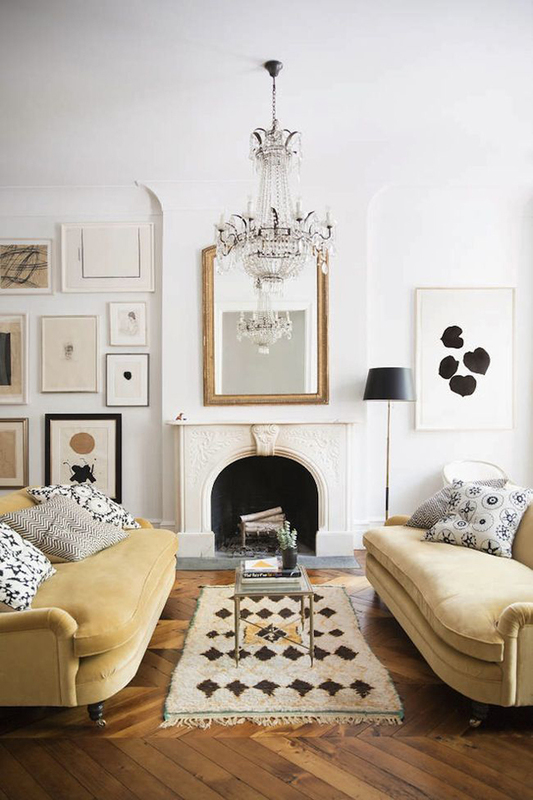 They are easily recognizable because they are typically colored with neutral hues, such as off-white and shades of brown and black, have a shaggy pile and abstract geometric patterns. 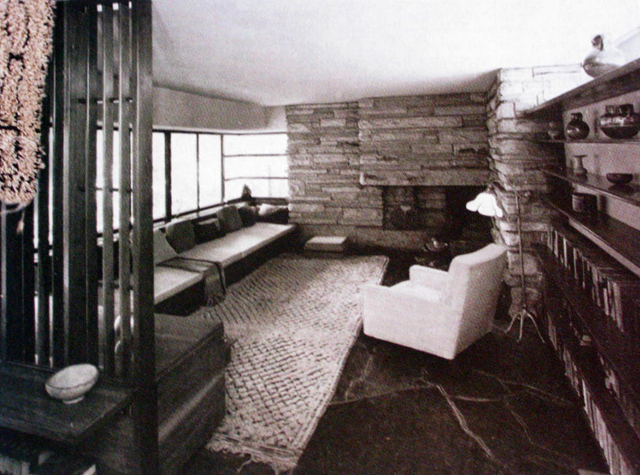 Part of their appeal to the modernists was the primitivism and imperfection of each carpet, and how they fit wonderfully with modernist décor. This unique weaving process has proved its staying power in the modern marketplace. In recent years, interest in the bright patterns and the luxury of these plush floor coverings has become a staple in modern interior design. Whether you prefer the vibrancy of the Boucherouite style — the one-of-a-kind recycled fabric rugs — or the elegant simplicity of the Beni Ourain, a Moroccan rug might be the perfect way to revive your living room. This entry was posted in Uncategorized and tagged africa, artisan, binichic, carpets, design, fashion, history, inspiration, Mediterranean, product, rugs, vernacular, vintage. Bookmark the permalink. Susan, these are gorgeous!!! You are so prolific, talented and amazing. I miss your precious and beautiful self! 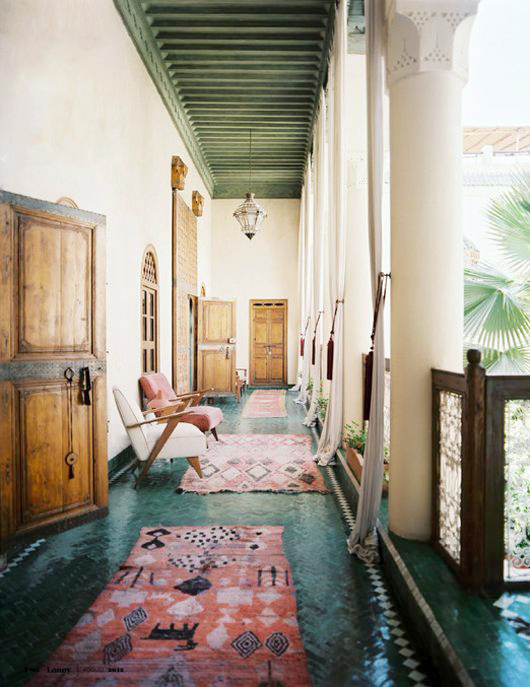 I absolutely love your blog I suggest you to visit this site that contains more information about the history of Moroccan carpets, about berber textiles and embroidery.